Did you know, according to the National Fire Protection Association, 1,342,000 fires were reported in the U.S. in 2016 alone? This resulted in 14,650 civilian injuries and 3,390 civilian fire deaths. As the winter season settles in, fires become more prevalent, making fire safety and prevention even more important. Unfortunately, many businesses look past simple upgrades they may be the cause of a lot of office fires like heating, electrical, cooking, or lighting equipment. At least one of these or more is currently present in your work environment now and should not be ignored for regular exams. At EHS Management, we not only invest detailed attention into your fire safety plans, we ensure they meet legal regulations. If a fire goes unnoticed it can build very fast in a short amount of time—causing large amounts of damage. At EHS Management, we provide services that range from first aid/CPR, fire extinguisher check, and personal protective equipment to machine safeguarding, and safety compliance and system safety hazard assessments and more. The safety of your company depends on your investment. 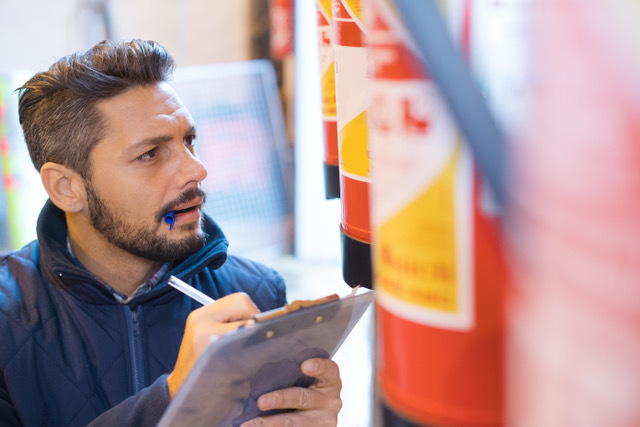 You never know when it might be you, so take precautionary measures today by bringing in a team of fire safety specialists to help build a prevention plan that is right for you and your business. EHS Management will provide you the best defense against workplace fires—prevention plans. Give our team a call at 715.551.9503 to schedule a free consultation to discuss your options for fire prevention. Follow us on our Facebook page for continued information and tips to help you get through the winter season.